The Winter Jam is an all ages show! In just 11 years, Christopher Newport University’s Ferguson Center for the Arts has become an international force, presenting the finest cultural attractions in the world. Nearly 2 million people from around the world have experienced more than 500 hundred performances in our acoustically superb theaters. The eclectic nature of our season is consistent with our mission: to offer a broad range of performances, reach the largest possible number of community members, all-the-while maintaining our status as the finest performing arts center in Hampton Roads. Thank you for your continued support. The best is yet to come! Please join us as we raise the curtain on our 10th season! Promoting cultural awareness as a life-long experience and fostering the appreciation for diverse cultures through the presentation of quality artists of distinction. Advocating a greater awareness and appreciation of the arts as experiences central to the quality of life for the communities that we serve. Serving as the cultural leader in community development and enrichment activities by providing access and opportunities for participation in cultural programs for all segments of our community. Enhancing and advocating the implementation of arts in education planning, programs and instruction at the University and in the regional educational systems. Developing and promoting strong partnerships between the arts, education and business communities in the region. Maintaining a leadership posture in advocating collaborations and support of the arts at the local, regional and national level. Ferguson is proud to support The Ferguson Center for the Arts. Based in Newport News, we are the largest wholesale distributor of plumbing in the U.S., and one of the top distributors of HVAC, waterworks and industrial products. In the past 60 years, we’ve grown from a local distributor to an $11 billion dollar company with more than 1,300 locations and over 19,000 associates nationwide. Our company is committed to being a good corporate citizen and a strengthening the communities where we live and work. It’s a challenge we share with more than 19,000 associates who help Ferguson fulfill its mission by lending a hand where it’s needed. Supporting our communities, families, the military and education is not that different from what we do every day – providing what it takes to keep a wide range of good things going, making everyone’s lives better. The mission of the Meherrin River Arts Council is to produce an annual concert series that features nationally known entertainers who perform a wide genre of music at a reasonable cost to our patrons. To provide various performing arts programming in the local schools. In 1978, after perceiving a tremendous need for a performing arts series in the Emporia-Greensville area, a group of concerned citizens formed the Meherrin River Arts Council (MRAC). The MRAC--named after a historical river that runs right through the heart of the City of Emporia and Greensville County--took on the unusual task of bringing national-quality arts entertainment to a small-town setting in Southside Virginia. The group's goals have been two-fold: create a series that showcases a variety of entertainment styles and genres while keeping tickets affordable to all segments of the population. In fulfilling this mission, an annual concert series of four performances was begun in 1979. The series is developed and administered by an all-volunteer board of directors, which meets year round. This year the MRAC will be celebrating its thirty-fourth anniversary season. Over the past quarter century, the MRAC has hosted over 100 performances. Local audiences have enjoyed everything from opera and ballet to plays and symphonic concerts. National and international stars have brought the sounds of jazz, country, contemporary and popular music to the region. The completion of the Emporia Greensville Performing Arts Center has greatly enhanced our concert series. The facility, located in a new local elementary school, not only provides exceptional viewing capabilities from all of its 906 seats; it also boasts theater-quality sound and lighting systems, highly unusual in any school setting. The opening of the new center is the most recent example of the MRAC's dedication to bringing quality entertainment to all of the citizens of Southside Virginia and Northeastern North Carolina for many years to come. In addition, the MRAC produces a performing arts series for students in the local schools. The students have seen performances that have featured ballet, opera, theater, chamber orchestra and plays. Many of these programs show children the importance of math, reading and science through the performing arts. Students experience programs that are both challenging and entertaining. In 2010, American fell in love at first sight with McCreery, then a shy 17-year-old boy with a wide smile, preternaturally deep voice and a love of faith, family and his hometown of Garner, N.C.. But that boyish image is merely a fond memory now that he’s turning 20. While the core of who he is and what he stands for remains the same, his strong voice has deepened as he has grown into a seasoned, confident performer who is in full control of every aspect of his career. His impressive evolution is immediately evident on his second studio album, See You Tonight, which artfully captures who he is now, both as an artist and a man. 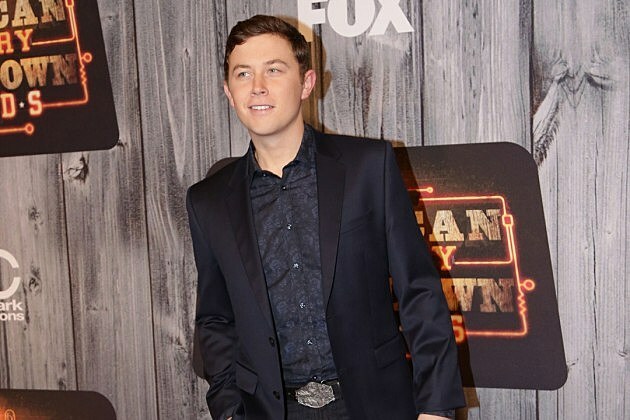 In two short years, Scotty McCreery became one of country’s hottest new stars, with album sales topping 1.6 million, including a platinum-selling debut album that made Billboard history and helped him win several new artist awards. During this whirlwind career explosion, he performed for President Obama, sung the national anthem at the World Series, performed in the Macy’s Day Parade and put on shows from coast to coast. Billy Bob’s Texas, the world’s largest honky tonk, hosts over 300 live music concerts annually, is home to live bull riding, a 4-Star restaurant and retail store; all in a world class, authentic Western venue. There is something for everyone at Billy Bob’s Texas. For additional information and ticket purchases contact Billy Bob’s at 817-624-7117 or visit http://www.billybobstexas.com/tickets. Scotty McCreery is going back to his roots for his next album. Fans are going to have to wait to hear something new from the singer and ‘American Idol’ winner, but when they do, they’ll hear something that reflects a more classic country sound. Expect new music from McCreery in 2015, however. He tells Rolling Stone his next single will be from the new project, and there will be no doubt about his direction. While McCreery has enjoyed commercial success, he’s still searching for that big radio hit. ‘See You Tonight’ cracked the Top 10, as did ‘Feelin’ It.’ However, the ‘See You Tonight’ album only sold a quarter of what his debut sold. McCreery helped write several songs on ‘See You Tonight,’ but he says he’s looking forward to contributing even more on this record, which he’ll begin recording this month.